The Cincinnati Insurance Company was created over sixty years ago. Today, they are a part of the Cincinnati Financial umbrella and are in the top 25 in the property insurance market. Cincinnati Financial is a Fortune 500 company. They are selling property insurance in 39 states, including Maryland. Cincinnati Insurance has four key segments: personal lines property casualty insurance, commercial lines property insurance, life and disability insurance, and investments. The company historically keeps a low profile but a few years ago it started running commericals for property and life insurance. We mostly going to see this company in commercial car and truck accident cases and it premises liability claims. Cincinnati Insurance is typically going to make a better first offer than their brethren at insurers like State Farm or Allstate. This is in part because they do not have an in-house lawyer in individual states which makes their cost of litigation higher. Still, because they seem to find themselves in more serious injury claims, you really can't expect full value for an accident claim without filing a suit (at least in most cases). On liability dispute claims -- in other words, a dispute about who is responsible -- this insurance company tends to fight. At the time of the writing, we have just come out of a trial against Cincinnati Insurance. They offered $150,000 at the pre-trial in the case and we assumed they would increase their offer. The pre-trial judge told them they should. They did not, the case went to trial and the jury awarded $537,000. Again, this insurer does not have in-house lawyers in Maryland. We know they use the Baltimore law firm of Franklin & Prokopik for some of the claims involving their insureds that are filed in Maryland. They do have local claims adjusters in Maryland. If you have been injured in a motor vehicle collision or have a premises liability case in Maryland call us at 800-553-8082. 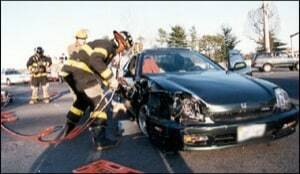 We also handle extremely serious injury and wrongful death claims outside of Maryland.